Happy Monday! Today, Starbucks has another Monday offer! 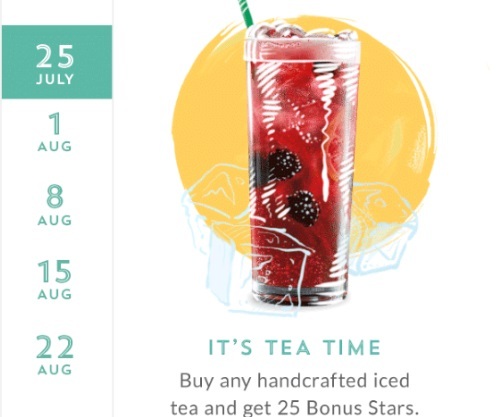 Get 25 Bonus Stars today when you purchase any freshly brewed iced tea before 2pm. Offer is valid Monday, July 25, 2016 only. Must pay with registered Starbucks App. Bonus stars will be automatically loaded to your Starbucks Rewards account within 24 hours.